Slay the dragon, while getting back to the lodge before dark! This drive takes a fun, but direct, route to the Tail of the Dragon, with a quick lunch stop in Robbinsville. 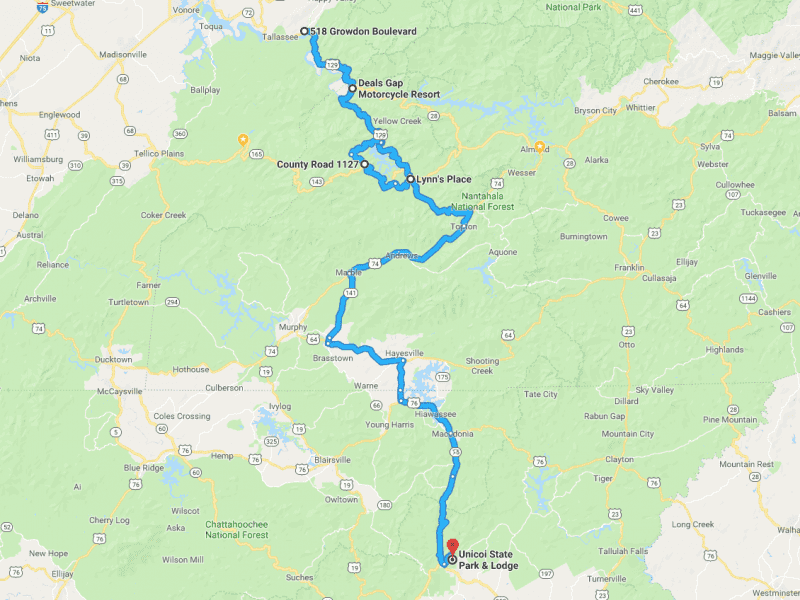 On the return trip, we'll take a small detour through Joyce Kilmer Memorial Forest for some additional curvy roads and then head straight back to Unicoi.